Only $30 for each additional area. No-residue steam cleaning. As the leading air duct cleaning service in the Minneapolis and St. Paul metro area, we’ve earned an unmatched reputation for helping Minnesota homeowners keep the air circulating in their homes clean and healthful. By efficiently and effectively removing dust, mold spores, pet dander and other contaminants from your home’s air ducts, we help your family breathe the cleanest possible air. It’s not just your air ducts that accumulate dirt, dust, allergens, contaminants and odors, though. The carpeting and furniture in your home are actually huge air filters. Over time, they collect those problem materials, stains, dirt and odors, releasing them back into the air every time you walk across a room. Of all the available cleaning methods, we use hot water extraction, often called steam cleaning, because it provides the best results by far. 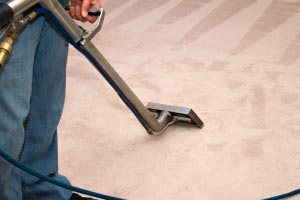 Using van-mounted high-temperature, high-pressure equipment, along with multi-horsepower vacuum capabilities, we get your carpeting the cleanest it can be. Pre-treatment, spot removal, and much more are all part of our professional service for every job. If you’re confused about the cost of carpet cleaning and other residential cleaning services, you’re not alone. You may have seen offers from some companies that promise to clean your carpeting for prices that seem unbelievably low. Here’s the truth: Nobody can really clean floor coverings properly at those ridiculous prices. They’ll show up and give you a high-pressure sales pitch you can’t afford. We would like to explain how we set the price for our professional, thorough services. In the end, we’ll save you plenty. The same high-powered hot water extraction equipment and techniques we use to clean and renew your carpet are also ideal for your upholstered furniture. In the same visit, we can completely clean your carpeted areas as well as your sofas, couches, chairs and other furniture. You won’t believe the difference. Not only will your home look fantastic, it will smell fresh and clean. Don’t buy new furniture. Clean what you have instead and save. In many fine Twin Cities homes, beautiful ceramic tile floors are the norm for kitchens, dining rooms, bathrooms and entries. No matter how often you mop and clean those floors, though, you’re just removing part of the grime. Over time, tile floors and grout build up a layer of dirt that hides the luster and stains your grout. Using professional grade cleaning products and powerful rotary scrubbing tools, we’ll make your tile floors look like new. More and more homes in the Minneapolis St. Paul metro area have hardwood or laminate floors installed throughout. Area rugs, large and small, add comfort and beauty in these homes. We professionally clean area rugs, using safe and thorough hot steam method. Our trained technicians can safely clean even costly hand-woven oriental rugs effectively, and at a low cost that will surprise you. Plumbing leaks and water intrusion during storms can soak your carpets. When that happens, only fast action can prevent the need to replace them. Mold and mildew can ruin your carpeting quickly. Call us immediately and let us come to the rescue. We’ll extract the water, dry your carpets, and perform other services that can save you thousands of dollars. Don’t delay when your carpets are wet. Minnesotans love their pets. Dogs and cats are well-loved members of many families. As any pet owner knows, though, accidents do happen, even with trained pets. Our technicians are experts at removing pet stains and odors. We use powerful cleaning and deodorizing products in conjunction with our high temperature extraction process. We get rid of those stains and odors, leaving behind only a clean, fresh environment. At a very low additional cost, we can sanitize and protect your carpets and upholstery after our cleaning services are complete. Using approved, environmentally safe products, this sanitizing and protection treatment destroys harmful organisms and protects your carpeting and upholstered furniture from common stains and surface dirt. By needing cleaning less often, you’ll save money over time. Most homeowners in the Twin Cities metro area have limited information about carpeting, ceramic tile, and upholstery. They also are bombarded constantly with offers that sound too good to be true. For our professional services, 100% customer satisfaction is our highest priority. Giving our customers the information they need is part of our mission. Most homeowners are completely unaware of the real state of their carpeting. Unless there are visible stains, they think their floors are clean. What they don’t know is that everything circulating in a home’s air ends up on and in the fibers of their carpet. Even regular vacuuming removes only a small part of the dust, dirt, pet dander and odors. Rental DIY cleaning equipment can’t do an effective job either. Our award-winning crews provide thorough, reliable and affordable services across the Minneapolis St. Paul metro, from Bloomington, Richfield, Edina and Eden Prairie to Minnetonka, Wayzata, Plymouth and Golden Valley, and from St. Louis Park, Roseville, Burnsville and Lakeville to Eagan, Apple Valley, Woodbury and Maplewood. One call to us does it all. Our professional technicians will arrive on time and on your schedule. Their modern vans contain the most powerful vacuum and cleaning equipment available. They’ll get right to work cleaning your home’s carpeting. When they’re done, your home will be clean and odor free, with no dirt-collecting residue in your rugs. By combining our IICRC-certified services, you’ll save money and know that your home is clean and free of unhealthful contaminants and dirt.